Ah, the Nintendo 64! Who could forget their first magical glimpse of Super Mario 64? Back when the console launched it almost felt like a luxury version of the inevitably much more successful Playstation console. The most powerful cartridge based home games system ever produced, with four controller ports as standard and a premium price tag on many games, it’s no wonder many of us missed out on the machine back when it was new. Now, retro hardware engineering genius Krikzz has produced a third revision of his Everdrive 64 flash cartridge. Like the Everdrive cartridges for other machines, the Everdrive 64 V3 can run ROM images from an SD card inserted at the top of the unit. Effectively, this allows the consoles entire library of games to fit onto a single cartridge. Could this be the ultimate upgrade for your Nintendo 64 console? After an agonising wait for the first units to come into stock, our Everdrive 64 V3 finally arrived courtesy of our friends over at Retro Towers. Retro Towers sell the unit on its own for £139.99 or with an 8GB SD card for an additional £9.99. Apart from the jiffy bag itself, the cartridge ships with no packaging and no outer box. There are also no instructions included. The unit isn’t quite plug and play, though it’s not exactly difficult to set up either, though some documentation on the devices advanced features would have been nice. To get started, all you need to do is prepare an SD card by copying some Nintendo 64 roms to it (ROM images of games you own, of course) and the latest copy of the Everdrive 64 OS. You can download the OS here. Simply download the zip file, open it and copy the ED64 folder (the actual folder, not the contents) to the root of your SD card. You’re now all set, so safely remove your SD card from your PC, pop it into the top of the Everdrive 64, pop the cartridge into your console and power on. If you’ve been worried by the recent reports that certain flash cartridges can cause undue wear and tear to your classic console, you will be pleased to know that the problem does not affect the Everdrive 64 at all. The devices main menu with the default wallpaper. If you’re used to other Everdrive cartridges, you’ll know that they tend to keep things simple while in use, with basic menus and little window dressing. The Everdrive 64 sticks to this principle for the most part, booting directly into a basic menu. You navigate the menu using either the analogue stick or the D-Pad. Simply select a game you want to play and hit A, a sub-menu will then appear allowing you to start the game, get information on the ROM or even view it in hexadecimal (great for pretending you’re a hacker). When you do start a game, loading times are virtually instantaneous, with only a few seconds delay for the biggest games. It really is almost as if the real game cartridge was magically dropped into your N64. Save games are fully supported too, Nintendo 64 games save either to an area of flash memory on the cartridge itself or to a memory pack that connected via the game controller. For games which saved to the cartridge, the Everdrive 64 detects and emulates the correct configuration for saving games, meaning that save games are fully supported. For games which save to the controller Pak, the Everdrive will make a backup copy of the save file once you’re done playing (though we weren’t able to test this feature). A small number of games require you to manually set which save game type they are, but even this can be done automatically by placing this text file onto your SD card in the ED64 sub folder. As expected the ED64 V3 ran every Nintendo 64 game we threw at it with no issues whatsoever. Krikzz claims that compatibility is almost 100%, with only a couple of very obscure titles either not working or requiring a patch before they are compatible. When you’re done playing, simply reset your console with the reset button to get back to the Everdrives menu. Region locking has been a thorn in the side of many a gamer for years now. As far as regional lockouts go, the N64’s lockout protection was one of the most resilient ever. In spite of this, Krikzz has managed to make the ED64 virtually region free. Supposedly there are a handful of titles that don’t run correctly without additional patching but they are few and far between. Note that if you load a PAL title on an NTSC machine, it will still run at 50hz (and vice versa we would assume). This has been reported to cause issues on some setups, probably due to the timing crystals in each machine being ever so slightly different. We tried a handful of PAL titles on our NTSC machine and they all ran flawlessly. Press the Z button while browsing the Everdrive 64s menu and you can access an advanced menu that hides a couple of very neat extra features. At the top of the menu is the “Options” option, but more on that later. The CPak Manager allows you to organise data on your controller packs. Sadly, both of the controller packs we found in our old box of N64 controllers seem to be faulty, so we couldn’t test this feature. The Cheats menu allows you to enter those Gameshark codes to activate infinite lives and other such things in many games. Finally, new for the Everdrive 64 V3 is the RTC Setup menu. As you might expect, this allows you to configure the devices real time clock by setting the current date and time. This is a nice feature, but really there’s only one game that supports this functionality and that is Animal Forest, a Japanese only release that was the first game in the now super popular Animal Crossing series. A number of partially translated ROMS exist for the game that will run on the Everdrive, giving a fascinating glimpse into the series roots. Selecting the Options menu reveals some other innovative little features this cartridge has. There’s the option to run the Everdrive’s menu in 480i or 240p for instance. You can also change the game save type if necessary (though this should be automatically detected almost all of the time). The IPS/APS and Auto IPS options allow the device to perform on the fly patching of ROMs. If you have a patch (for instance a ROM hack or a translation) in .ips format, you can put this patch into a folder called “AUTO” on your SD card. Now, turn on “Auto IPS” in the options menu and the ED64 will automatically patch your ROM file when you start the game so that you don’t have to patch it manually. This patched version is saved to the flash memory on board the Everdrive, meaning if you ever want to go back to the un-patched ROM it’s simply a matter of turning Auto IPS off again. If the bland menus of other Everdrive cartridges aren’t your thing, you will be pleased to hear that you can at least change the background picture on the ED64, which is a nice touch. How to do this isn’t immediately obvious, but with a quick Google search we discovered that all you need to do is put a 640×480 bitmap image into a sub folder called “WALLPAPER” on your SD card. You then simply browse to the image you want to use and select it, the ED64 then gives you the option to set it as a wallpaper. We’d advise choosing pictures with a dark background for this since it can make the text hard to read if you choose something too light. Finally, for those brave homebrew developers who want to try taming the N64s hardware, there’s a USB port on the side of the cartridge that can be used for collecting debugging information from your homebrew titles. 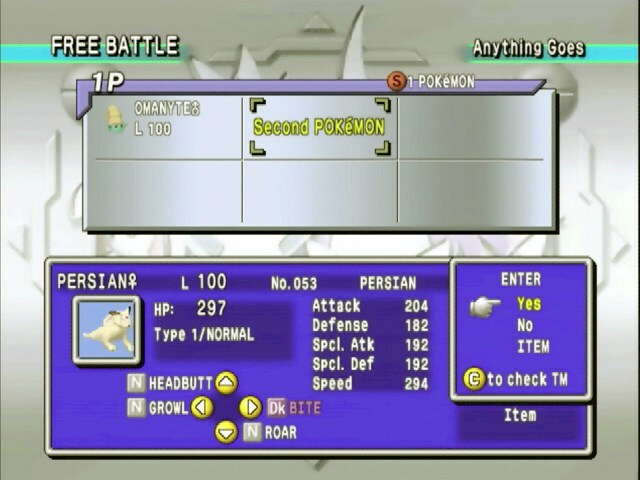 Pokemon Stadium 2 runs just fine on the Everdrive 64 V3. Clearly the Everdrive 64 V3 is a fantastic upgrade for your Nintendo 64 console, a superbly engineered piece of hardware and indisputably the best flash cartridge available for the N64. With features like a real time clock and automatic ROM patching it is really difficult to think of how the design could ever be improved. Documentation is a little lacking for the device, but even the advanced features can be figured out with a little Google searching or, if you’re really stuck, a post on the Everdrive support forums. All this functionality comes at a premium however, and at £139.99 the cartridge is currently £50 more expensive than the old Everdrive V2 model. What exactly does that extra £50 get you? A real time clock that is only useful for one game and a slight upgrade in the devices flash memory so that Pokemon Stadium 2 can run properly. When put like that, the Everdrive V3 might seem a little extravagant (though to be fair we really do like Pokemon Stadium 2). We’d certainly hesitate to recommend the V3 cartridge to those of you who already own the Everdrive 64 V2. If you don’t already own an N64 flash cartridge however and you want the absolute best there is, then you have to have the Everdrive 64 V3. 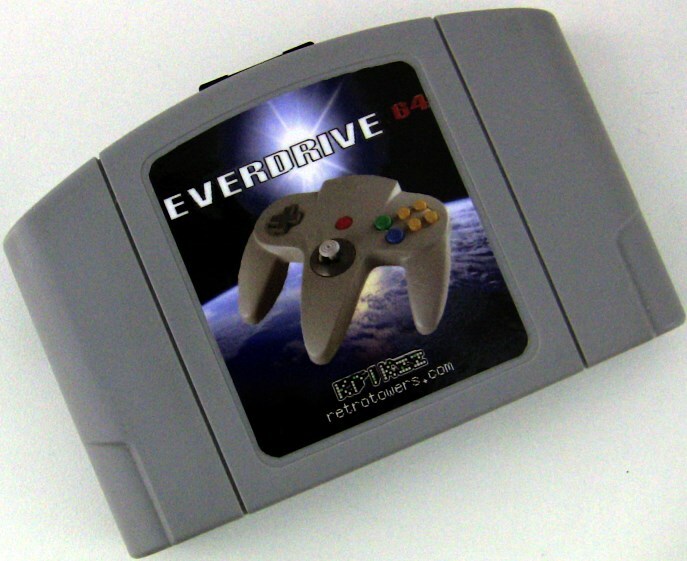 The Everdrive 64 V3 is available NOW from RetroTowers.co.uk. Stunning, feature complete flash cartridge for your N64, though a little pricey. Value : 5 points ? Can’t the V2 Everdrive 64 do that too though? I bought an ever drive to play turbografx 16 games. I enjoy using the original Turbfrafx controller since it has a turbo feature for the shmups. It’s super easy to find good emulators and download them onto an SD card and put in your Ever Drive for sure.. Yes I promise you it works 🙂 Buy a genuine one not a cheap Chinese knock-off. Does it work with every game? Or in yur experience, wat games would yu say don’t work on it?